Is our state government working for the People or the Natural Gas / Fracking Industry? With such a long history of violations which endangers the health of Fayette county residents, you would think that the WVDEP, Office of Oil and Gas would have shut down Webb's Injection wells years ago, but since his business benefits the natural gas fracking industry, they haven't. 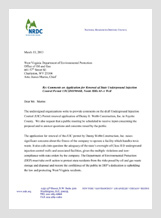 Scroll to read the letters from the NRDC, PAN, etc letters of opposition to the issuance of Webb's injection well permit. 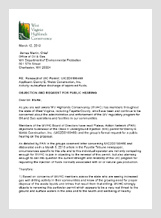 Click here to read the Comment Letter provided by the Natural Resources Defense Council (NRDC). 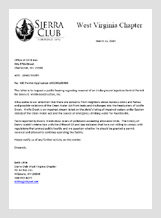 Click here to read the Comment Letter provided by the Plateau Action Network (PAN). 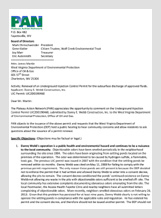 Click here to read the Comment letter from the West Virginia Highlands Conservancy. 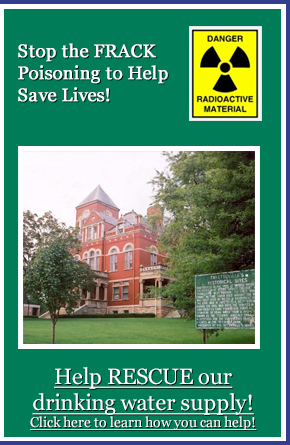 Click here to read the Comment Letter from the Sierra Club West Virginia Chapter.